Exclusive: The Pentagon’s new “Law of War” manual puts some journalists in the category of “unprivileged belligerents,” meaning they can be tried by military tribunals as spies, a further sign of U.S. government hostility toward reporting that undercuts Washington’s goals, writes veteran war correspondent Don North. Honest war correspondents and photographers who try to cover wars effectively are about to become suspect spies if a new Pentagon manual, “Law of War,” is accepted by U.S. military commanders. I can confirm from personal experience that reporting on wars is hard enough without being considered a suspicious character secretly working for the other side. 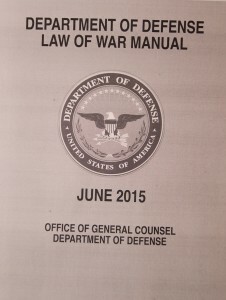 The manual’s new language reflects a long-term growing hostility within the U.S. military toward unencumbered reporting about battlefield operations as well as a deepening interest in “information warfare,” the idea that control over what the public gets to hear and see is an important way of ensuring continued popular support for a conflict at home and undermining the enemy abroad. But allowing this manual to stand as guidance for commanders, government lawyers and leaders of foreign nations would severely damage press freedoms, not only for Americans but internationally. It would drastically inhibit the news media ability to cover future wars honestly and keep the public informed, which is after all what both U.S. government officials and journalists say they want. The new manual also reflects an historical trend. 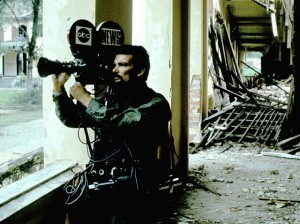 During the Vietnam War, a majority of U.S. military officers believed the press should have been under more restraint. 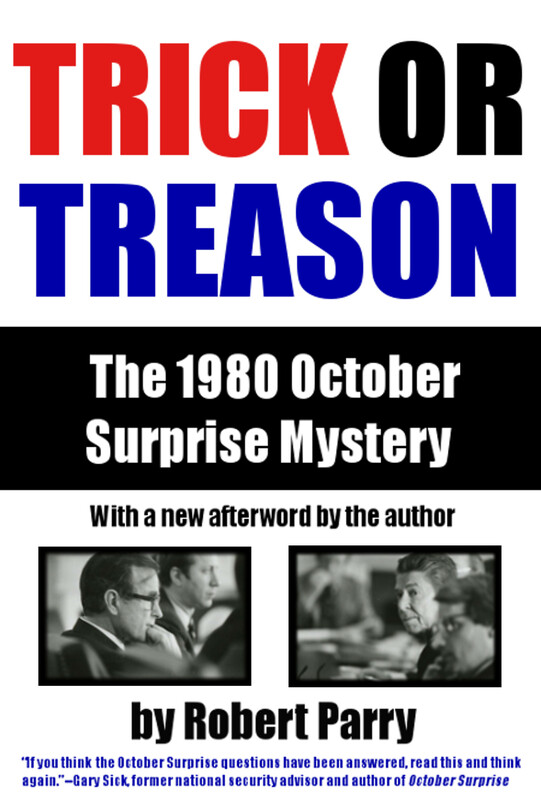 By the early years of the Reagan administration, it had become an article of faith among many conservatives that the press had helped lose that war by behaving more as disloyal fifth columnists than a respectable Fourth Estate. So, the Pentagon began to strike back. During the short-lived Grenada invasion of 1983, press coverage was banned in the early phases of the conflict. Soon, the Pentagon began a more formal process of both constraining and co-opting journalists. In the first Gulf War, journalists were forced to work in restrictive “pools.” In the Iraq War, reporters were “embedded” with military units while facing multiple limitations on what they could say and write. Now, the Pentagon appears to be engaging in an attempt at intimidation or “prior restraint,” essentially warning journalists that if they are deemed to have reported something that undermines the war effort, they could be deemed “unprivileged belligerents,” presumably opening them to trial by military tribunals or to indefinite detention. And, while that might seem to be an extreme interpretation, the manual’s ominous wording comes at a time when the U.S. government has escalated its denunciations of what it regards as “propaganda” from journalists at RT, a Russian network, and earlier of Al-Jazeera, an Arab-based network, both of which broadcast internationally, including inside the United States offering alternative perspectives and contrasting information from what is often reported in the mainstream U.S. media. This rhetoric labeling unwelcome journalism as “propaganda” hostile to U.S. national security goals also comes at a time of global political turmoil that has seen a shocking number of journalists jailed, intimidated and murdered with impunity simply for doing their jobs. Reporters Without Borders reported 61 journalists killed last year, with 59 percent dying while covering wars. The same study found media freedom in retreat across the globe, including in the United States, which ranked 49th among the 180 nations examined regarding the environment for press activities, the lowest standing since President Barack Obama took office. The Reporters Without Borders report suggests that the Pentagon’s new manual may be part of a worldwide trend in which governments see shaping the presentation of information as an important national security goal and skeptical journalism as an impediment. In the United States, the hostility toward unwanted or unapproved reporting whether from RT, Al-Jazeera or WikiLeaks has merged with more classification of information and greater delays in releasing material sought through Freedom of Information channels. Despite President Obama’s pledge to make his administration one of the most transparent in history, press freedom watchdogs have continually slammed his administration as one of the least transparent and criticized its aggressive prosecution of leakers, including Army Pvt. Chelsea (formerly Bradley) Manning for releasing evidence of apparent war crimes in the Iraq and Afghan wars. Manning received a 35-year prison sentence and is currently facing possible solitary confinement for alleged prison infractions. The Obama administration’s obsession with secrecy even extended to the status of the new manual’s views about war reporting. A spokesman for the National Security Council has declined to say whether the White House contributed to or signed off on the manual. 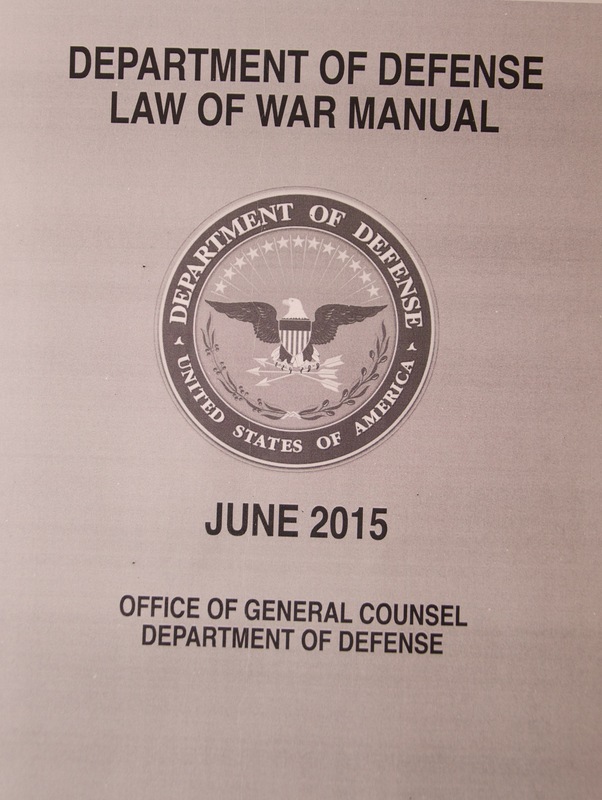 The manual was issued by the office of Stephen W. Preston, general counsel for the Pentagon and former chief attorney for the CIA. After six years overseeing the Obama administration’s legal policy with respect to lethal drone attacks as well as the raid that killed Al Qaeda leader Osama bin Laden and the current war against the Islamic State, Preston resigned from the Pentagon in June following publication of the manual and has not been available for comment. Reporters Without Borders published an open letter to Secretary Carter calling on him to revise “dangerous language” of the Pentagon manual that suggests journalists can become “unprivileged belligerents,” akin to spies or saboteurs. Public attention to the new Pentagon manual came at an awkward time for U.S. government officials. Secretary of State John Kerry was recently in Hanoi lecturing the Vietnamese to let up on oppressed journalists and release bloggers from jail. So, the new “law of war” manual suggests that we are seeing another case of American double standards, lecturing the world about principles that the U.S. government chooses to ignore when its own perceived interests are seen as endangered. The reality is that the U.S. military has often taken questionable action against journalists, particularly Arab journalists working for U.S. or third country agencies. AP photographer, Bilal Hussein, whose photo of insurgents firing on Marines in Fallujah in 2004 earned him a Pulitzer Prize, was detained by the U.S. Marines and held two years without charges, evidence or explanation. Al-Jazeera cameraman Sami al-Haj was detained in 2001 while covering a U.S. offensive against the Taliban in Afghanistan. U.S. military forces accused the Sudanese cameraman of being a financial courier for armed groups but never produced evidence to support the claims. Al-Haj was held for six years at the Guantanamo Bay prison. Prior to releasing him, according to his lawyer, U.S. military officials tried to compel al-Haj to spy on Al-Jazeera as a condition of his release. In its 6,000-plus footnotes, the manual ignores these two cases. Instead it suggests its own perspective on how journalists covering conflicts should operate: “To avoid being mistaken for spies, journalists should act openly and with the permission of relevant authorities” advice that is both impractical and problematic. For instance, how would the U.S. military respond if “the permission of relevant authorities” came from a battlefield adversary? Would that be taken as prime facie evidence that the reporter was collaborating with the enemy? Plus, in any war that I’ve covered from Vietnam to Iraq, I have never gone looking for “relevant authorities” in the fog of battle, as finding one would be as unlikely as it would be risky. Indeed, the more likely result if such a person was found would be for the reporter to be detained and prevented from doing his or her job rather than receiving some permission slip. Such naive advice suggests the editors of this manual have had little experience in combat situations. 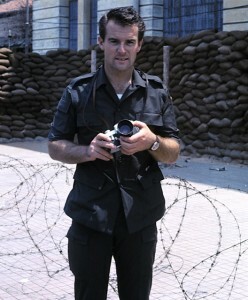 Don North as a young war correspondent in Vietnam. When asked to give an example of when a reporter would be an “unprivileged belligerent,” a senior Pentagon official pointed to the assassination of the Afghan rebel military commander Ahmad Shah Massoud in September 2001, but the two assassins were not real journalists; they were simply using that as a cover. I was at Massoud’s headquarters at the time and can confirm that the two assassins were Al Qaeda agents from Algeria posing as television journalists with explosives hidden in their camera. They could just as easily have posed as United Nations envoys or as mail couriers. They were not journalists. Whatever their vast knowledge, the manual’s author as well as those scholars and other military legal experts apparently had little familiarity with, or regard for, the First Amendment to the U.S. Constitution, which is supposed to guarantee freedom of the press. Andrew Pearson, who was one of my colleagues at ABC News in Vietnam, observed: “When the Pentagon gets squeezed between stupid presidents and truth-telling journalists, the answer isn’t jail for the journalist,” though that seems to be the answer that the new manual favors. “The Pentagon types don’t learn that much out on the firing range about the Constitution, so somewhere along the way in our complicated ‘democratic system,’ there has to be protection for journalists against a Pentagon that thinks they’re a dictatorship,” Pearson added. In an interview on NPR last Friday, a senior editor of the manual, Charles A. Allen, deputy general counsel for international affairs, could not respond to the question: “Can you give any examples of any cases of operations being jeopardized by journalists in say the last five wars?” Allen said he could not provide examples without referring to Pentagon files. 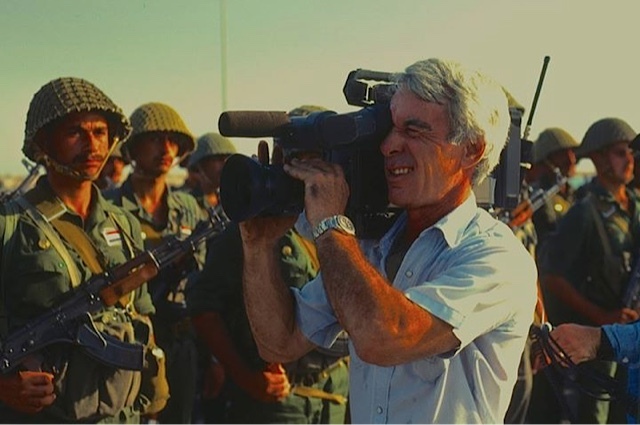 In fact, in Vietnam, Afghanistan and Iraq, I can remember only a very few infractions of the media rules by the thousands of journalists covering military operations. Yet, it may be true that the tension between the military and the press will never cease, because both need each other but cannot grant the other what it really wants. The reporters want absolute freedom to print or film everything on the battlefield, while the military’s mission is to fight and to win. The generals would prefer the journalists to perform as organs of state propaganda to ensure popular support for the war or to undermine the enemy. But the journalist’s purpose is to find and report the truth to the public, a mission not always compatible with successful warfare, which also relies on secrecy and deception. So, war correspondents struggle with the constant conflict between the public’s right to know and the military zeal to keep things secret. One side fights for information and the other fights to deny or control it. The U.S. military’s legacy of suspicion and even hostility toward the media has been passed down through generations within military institutions like a family heirloom. It is unlikely we will ever again find ourselves with the unfettered access to war that we had in Vietnam, my first experience as a war correspondent. 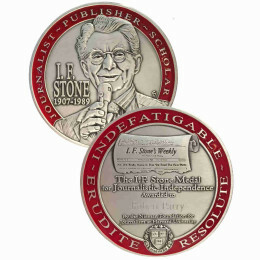 At that time, the U.S. government recognized the importance of journalists being allowed to do our jobs at our own risk. We were considered a necessary evil that had to be tolerated. However, the Vietnam lesson for the U.S. military was that images and the written word can inform the public with devastating effect and can lead to demands for accountability for war crimes as well as an erosion of popular support for the war. In other words, a well-informed public in a democracy might decide that the war was a bad idea and that it should be brought to an end short of victory. 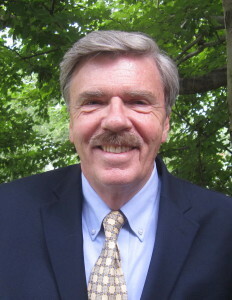 Don North is a veteran war correspondent who covered the Vietnam War and many other conflicts around the world. He is the author of a new book, Inappropriate Conduct, the story of a World War II correspondent whose career was crushed by the intrigue he uncovered. Russa is in MUCH worse shape. Why are there no articles criticle of Iran/Russia here? Propaganda? 1. Did this pass through Congress? If not, the Pentagon does not make law. Did the President approve this? If so, this must be an impeachable offense – abuse of power and abuse of the Office of the President. 2. In part, the reason 90% of the news media is owned by 6 corporations (in 1983, 50 corporations owned that 90%) is to control the news. This article is a good example; it has not been widely covered by the US corporate media, I bet. This is the first I have heard about it. Hey Americans! Your America is slipping away. The rightwing transparency group, Judicial Watch, released Tuesday a new batch of documents showing how eagerly the Obama administration shoveled information to Hollywood film-makers about the Bin Laden raid. Obama officials did so to enable the production of a politically beneficial pre-election film about that “heroic” killing, even as administration lawyers insisted to federal courts and media outlets that no disclosure was permissible because the raid was classified. Thanks to prior disclosures from Judicial Watch of documents it obtained under the Freedom of Information Act, this is old news. That’s what the Obama administration chronically does: it manipulates secrecy powers to prevent accountability in a court of law, while leaking at will about the same programs in order to glorify the president. But what is news in this disclosure are the newly released emails between Mark Mazzetti, the New York Times’s national security and intelligence reporter, and CIA spokeswoman Marie Harf. The CIA had evidently heard that Maureen Dowd was planning to write a column on the CIA’s role in pumping the film-makers with information about the Bin Laden raid in order to boost Obama’s re-election chances, and was apparently worried about how Dowd’s column would reflect on them. On 5 August 2011 (a Friday night), Harf wrote an email to Mazzetti with the subject line: “Any word? ?”, suggesting, obviously, that she and Mazzetti had already discussed Dowd’s impending column and she was expecting an update from the NYT reporter. After leaving The Washington Post in 1977, Carl Bernstein spent six months looking at the relationship of the CIA and the press during the Cold War years. His 25,000-word cover story, published in Rolling Stone on October 20, 1977, is reprinted below. October 20, 1977 In 1953, Joseph Alsop, then one of Americaâ€™s leading syndicated columnists, went to the Philippines to cover an election. He did not go because he was asked to do so by his syndicate. He did not go because he was asked to do so by the newspapers that printed his column. He went at the request of the CIA. Robert Parry: Whoâ€™s Telling the â€˜Big Lieâ€™ on Ukraine? Ends by noting, “…Americans who rely on these powerful news outlets for their information are as sheltered from reality as anyone living in a totalitarian society. The lawless law & order state strikes (at the people) again! The primary aim of modern warfare is to use up the products of the machine without raising the general standard of living. I’m not sure that, “the militaryâ€™s mission is to fight and to win.” If that were true wouldn’t the trilions of dollars the military has spent since WW2 have resulted in at least ONE victory? Is it not now more accurate to say that the military’s mission is to spend zillions on high priced equipment that kills both the good guys and the bad guys without Americans actually having to fight at all? An MO that has been a remarkable failure. Well, b fearn you are correct, only you have remarkable failure identified wrongly. It is an unqualified success! When people suffer and die in our postmodern warfare, the goals are not any land taking, defending, or humanitarian reasons, no the primary goal is to use ordnance and hardware to kill, maim, and otherwise ruin human beings, their homes, and their very social contracts so Boeing, Rand, GE, and every other military equipment maker can rake in the profits. War isn’t about one nation against another, it’s poor people dying while the rich cash checks, General Smedley Butler put it best, War is a Racket. To those who don’t want accountability, everyone is a threat to their profligacy. One possibility I venture to guess this manual does NOT consider is that groups under attack by the USA might consider US-based journalists to be “unprivileged belligerents”. I always find it remarkable how American (and other Western) correspondents and others expect to be allowed to roam around freely within combat zones, taking pictures and then going back to their hotels to pass on all the information gathered. If, during the London Blitz of 1941, people had found German journalists walking around with cameras and notebooks, what do you think they would have done? Tom, how very right you are. Those groups finding themselves under attack from the U.S. better not read what Carl Bernstein had to say back in 2007 in regard to CIA/Media’s relationship truly is. Bernstein describes how post WW2 became a time of how heavily the CIA influenced America’s press had become. Remember engaging the American press at that time was a time of high patriotism, and these WW2 reporters were mostly under the influence of that kind of patriotism. Allen Dulles actually formed strong friendships with people such as Henry Luce of the Time magazine empire. Reporters were thought by the CIA to better spies than their actual spies. Why hell, reporters are there to ask questions, and find out things….they are there for that very purpose! Spies on the other hand need to be spies. Anyway, I agree with your comment. What is to become of the American reporter, as these new pentagon measures take effect. Will there be trouble there that they may have never before encountered? Could this new pentagon policy actually backfire on us? If this new policy should take effect, will it turnout like the many other new supplemental edicts the government has drawn up, and be tweaked with double standards when required. You know how these requirements were needed to assist with double standards such as in the sentencing of Jeff Sterling vs David Petraeus. Something I just have to marvel at, is how between dredging up evil battle plans that over twenty years old, and coming with some crazy new ideas to implement that anything goes, as long as it works for them. Them like to look good in the press, so now let’s just be able to kill the reporters. You obviously are unable to see the difference between a press corps in a war zone being able to cover what is happening without being totally ’embedded’ and vetted, vs. a press corps that is embedded, strictly controlled on where they can go, and what they write is strictly edited. From your obtuse comment I would assume you’d prefer the latter. Epic fail dude. I believe the idea is that journalists should be independent. You are absolutely right that journalists should not be seen as a propaganda service for anyone. If we want to make the case that journalists are not ‘belligerent’, they must be balanced in their reporting. Credentialed journalists, representing legitimate media outlets, are tasked to gather and report information and that is all — not interfere in events. As such, they have traditionally been classified as non-combatants (unless proved otherwise). You would reverse that? In the heat of battle and fog of war, who gets to decide what is “balanced” coverage? Some general? And when journalists have been largely excluded from directly gathering and reporting information from war zones because they are viewed as a Fifth Column, subjected to pervasive monitoring and control — and now perhaps detention for reporting bad news? — to be replaced by public relations representatives and willing stenographers, how will the public have a ghost’s chance of finding out what is really…ah, hell. ARGUMENTS PERSUASIVE OR NOT DON’T “COUNT”!!! profile US Senate vote. Many are doing just that these days. One can judge to results one way or the other of a vote. staisfied with what it gets. powerful but had no “veto”. it dislikes. My own personal list would include many nations. of international law have recently blown up in our own face. There is little doubt in my mind government intelligence agents have infiltrated the corporate media to the extent many news outlets have become mouthpieces for whoever actually rules the West from behind cloesd doors. This has resulted in all journalists’ lives being put at risk; not only on the battlefield, but in the streets of wherever they go. Clearly, these latest moves are intended to compound the threat. To all intents and purposes, the Pentagon has declared war on journalists and journalism. In other words it has declared war on truth and the public’s right to know. It was bad enough with foreign governments denouncing journalists, they regarded as hostile, as spies, but when your own government starts denouncing its own journalists, the battle for freedom and democracy has truly been lost. Wasn’t the stated aim of all these wars to bring freedom and democracy to other countries? Do we really have to sacrifice freedom and democracy at home to achieve it? I feel if I haven’t lost the my compass along the way, someone else surely has. The key term here is the fifth – governments. It does not refer to those in Russia, China or Iran, but rather friendly governments, those whose lands we shall be occupying. Maybe the americans are not yet so brazen as to disappear wrong-minded reporters; the manual indicates this will be done by proxy. Welcome to Iran and many other countries…aren’t we all the same??? I suppose this is just the latest example of neocon “great thinkers” like Karl Rove rewriting international law. Remember when the p.o.s. said this? “We’re an empire now, and when we act, we create our own reality. That’s what the Supreme Court Five turned loose on us back in the year 2000 when they overturned the election – they gave us Codpiece Commander George ‘dubya’ Bush. After his 8 years, the nation was desperate enough to fall for the line of a smooth-talking black liar, and now we’re well into Bush’s 4th term. In those fifteen years the neocons have been given free rein to create disaster all over the world. It’s not like murdering journalists is anything new – it’s just that BHO is making doing so “legal”. The US of A started blatantly torturing people under Dumbya, and BHO effectively legalized it when he refused to prosecute any of them. The Hague Conventions forbids “assassination and murder of soldiers or citizens in hostile territory” – that’s a goner too. The Texas Torturer and the Nobel Peace Laureate have both bragged about doing precisely that. Wanna know what’s next on the agenda? The U.S. Army’s plan to replace the M9 9mm pistol could result in the large-scale adoption of hollow-point pistol ammunition — a move the U.S. military has refused to even consider for more than 100 years. Why not? We’re an Empire now, and make the rules. After that? How about poisoned bullets? Explosive bullets? But it’s ok – we’re “special”, and as such, deserve special rights. What’s BHO call it – EXCEPTIONAL! We’re so darned good and pure that ANY non-legal mayhems or murders we do become very good things in the sight of our White Protestant God. During War,the idea behind banning “real ” reporters is “real” simple. if nobody is there to say what is going on, whatever is going on ,can “keep” going on for a long ,long time.